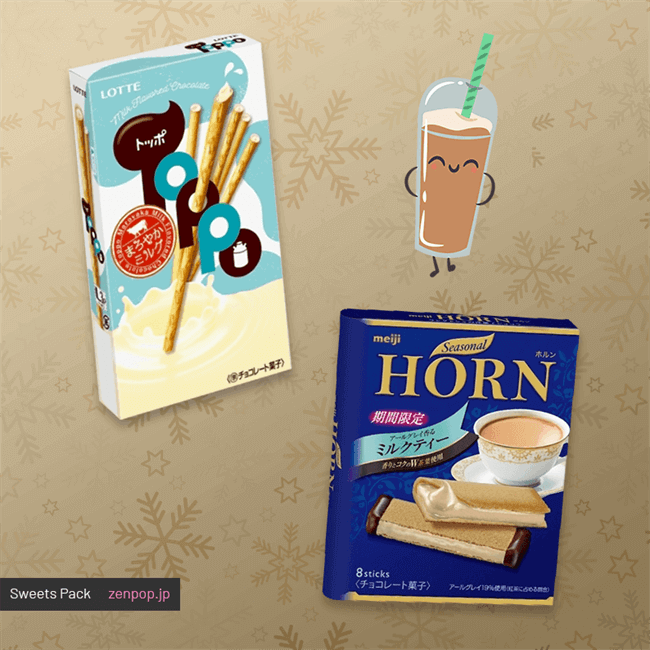 Did you get a ZenPop's Pack in December? If not, find out what we included to help you celebrate Christmas and New Year! 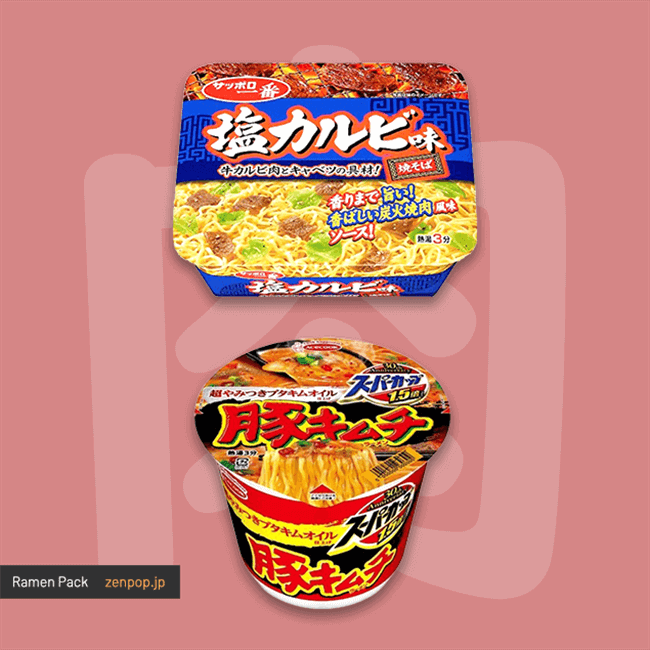 Eating Japanese sweets and ramen are an amazing way to celebrate your holiday. 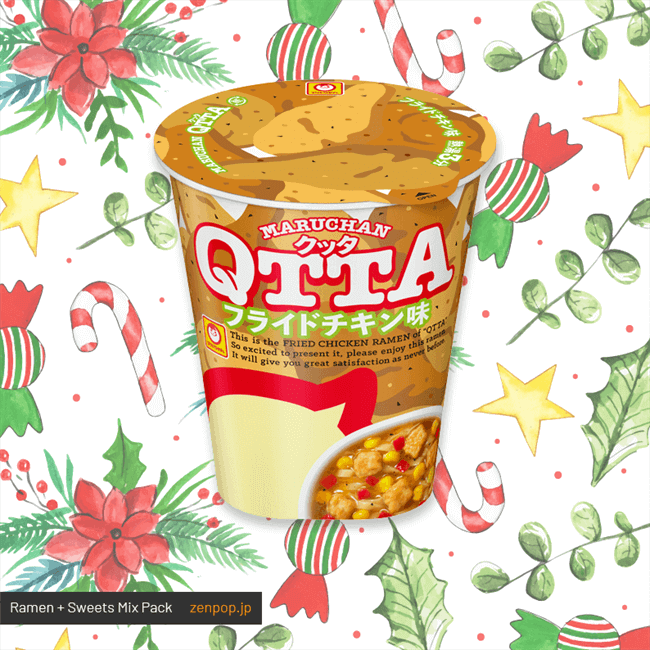 🎄🎅 In Japan, we have a tradition to eat a famous fast food chain’s fried chicken on Christmas Day, so we included the amazing QTTA fried chicken ramen in our December pack. 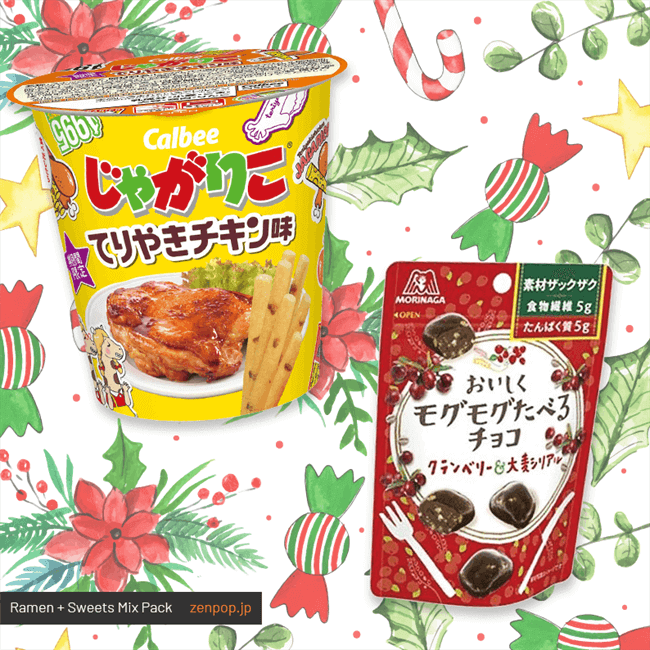 🍴 To make your X'mas meal complete we also added side servings of teriyaki chicken potatoes, cranberry chocolates, caramel chocolate balls, and squid kid gummies! Oniku (肉) means “meat” in Japanese. 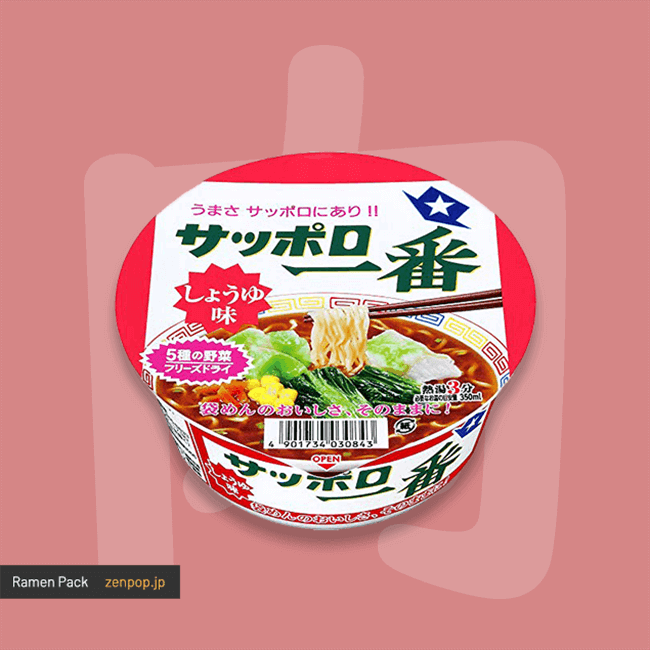 🍖🍖This pack was as savory as it gets, featuring ramen rich in hearty, meaty flavors. From the spicy tang of pork kimchi ramen, to the smooth sweetness of duck dashi soba, your tastebuds went on an adventure from start to finish. 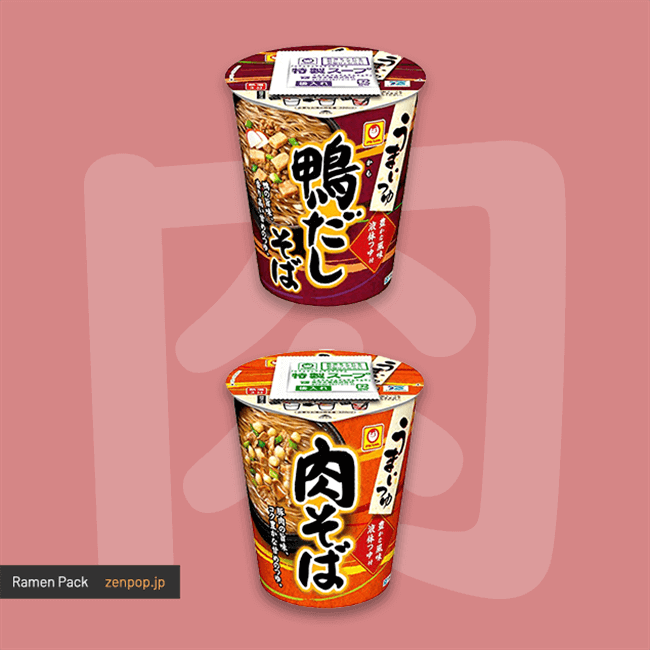 This pack had a bit of everything including some classic shoyu (soy sauce) and shio (salt) ramen as well, so you could enjoy new and old favorites together. 🍜Happy slurping! 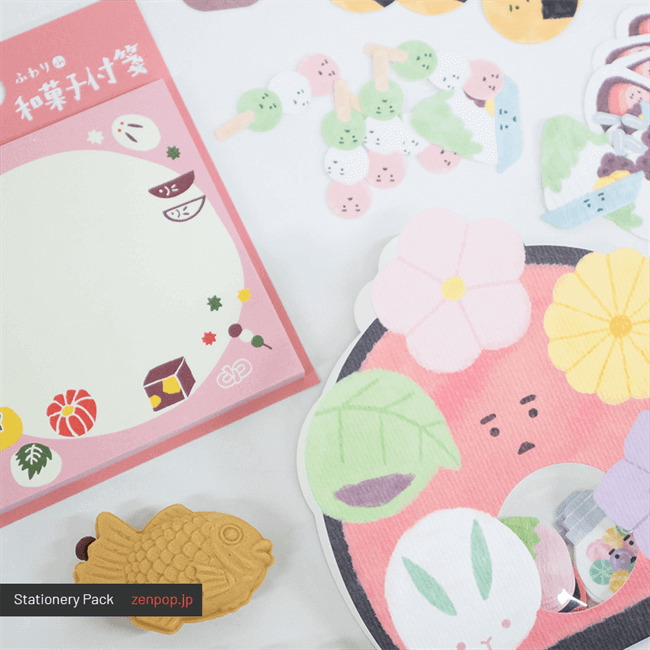 Have you heard of wagashi? 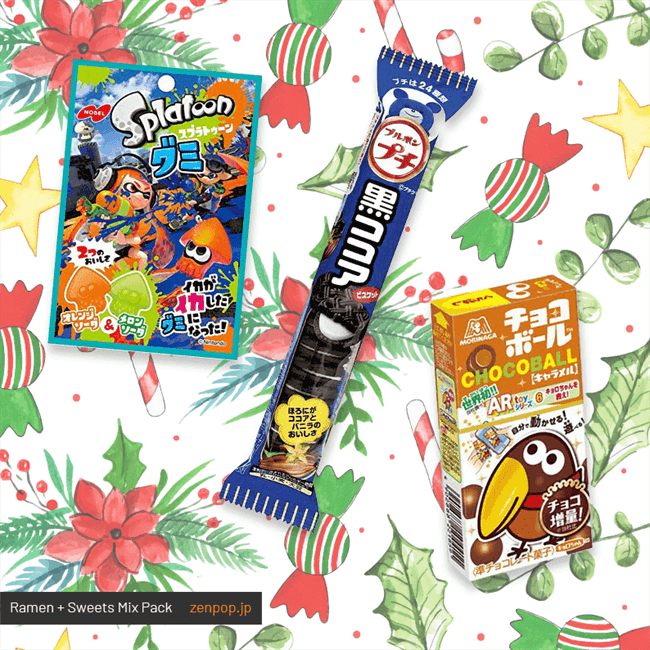 They are traditional Japanese sweets, which are enjoyed during the New Year season. 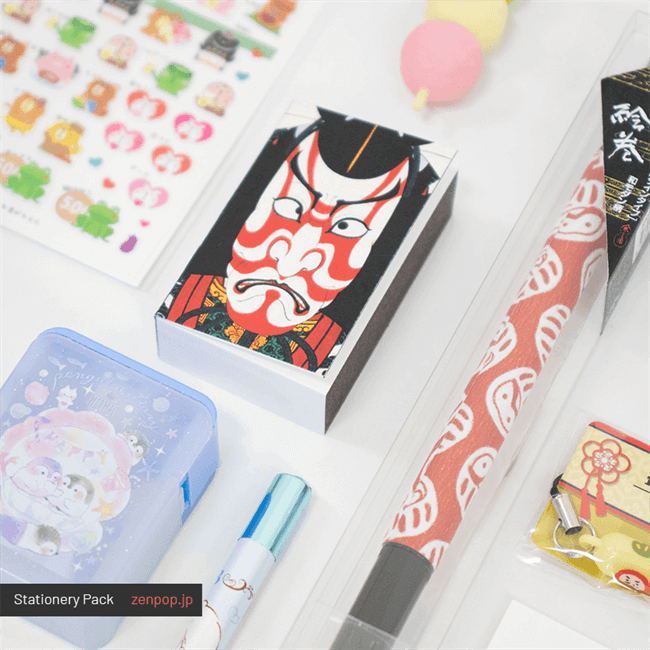 Beside cute wagashi stickers, notepad and eraser, this pack was filled with traditional Japanese designs. 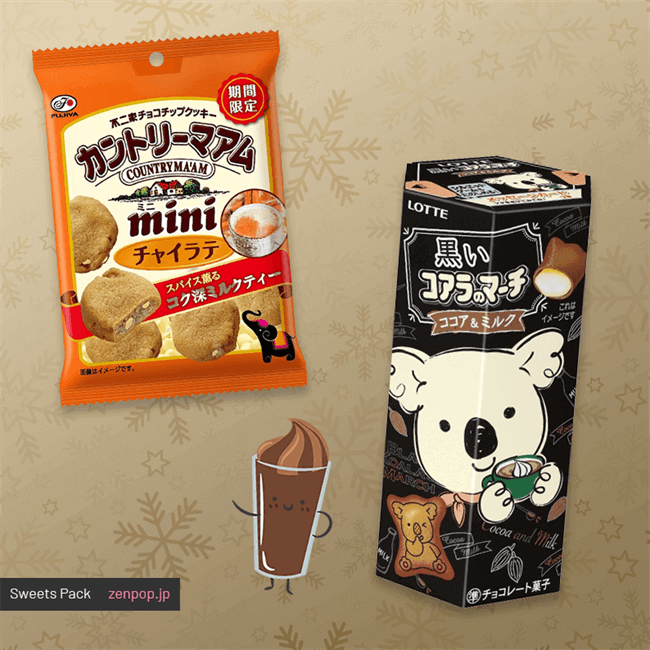 We hope the lucky charms and wagashi themed items in the pack will bring you amazing new year filled with love, joy and sweet treats. 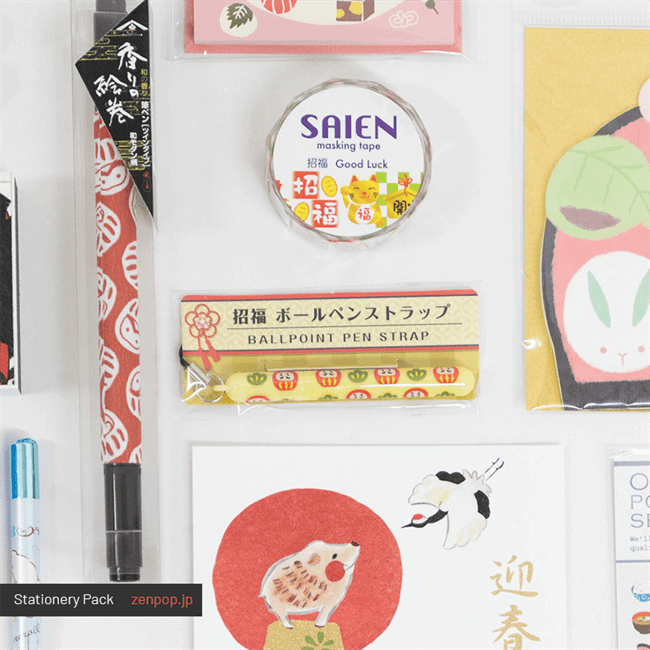 We hope you loved your ZenPop December pack. 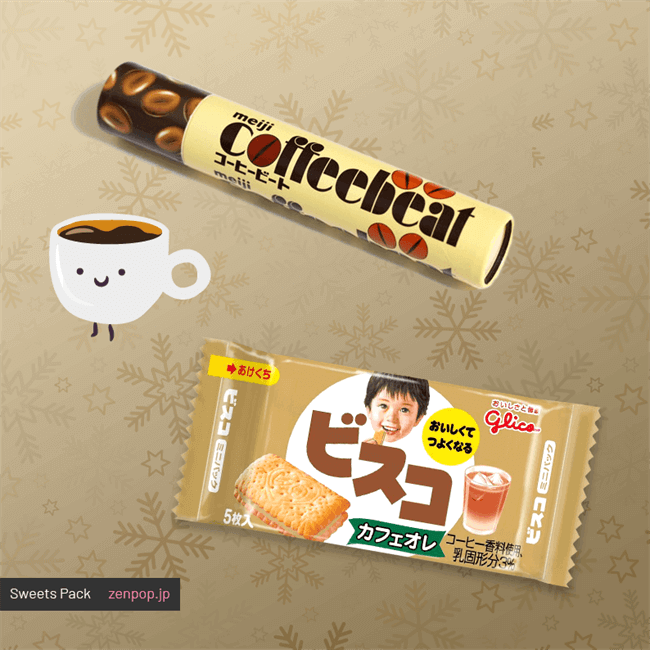 Check out our current Sweets, Ramen & Sweets Mix, Ramen or Stationery Packs.